The G Bundle toy chest is the perfect organizational tool for any room. 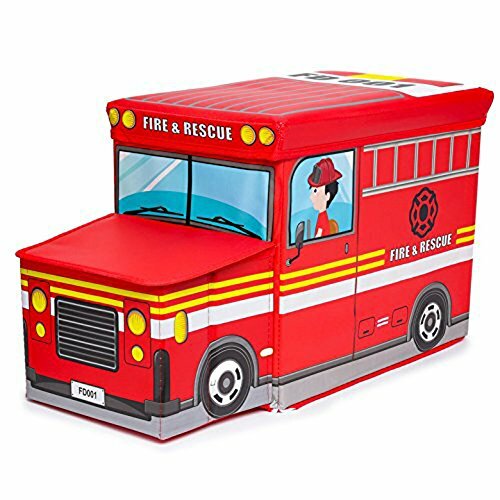 Pick from a Fire Truck, Ice Cream Truck, School Bus, or Police Car not only is it a storage bin that will keep toys organize. But it doubles as a stool for reading or sitting. With sides reinforced by cardboard our toy chest stays up even when empty and the lid keeps all toys in order and out of sight. Large enough to hold toys, small books, and stuffed animals.This toy chest not only adds to the rooms decor but it also adds a pop of fun to every room. The G Bundle toy chest makes organizing a room full of toys easy and fun. Assembly is easy as 1,2,3! If you have any questions about this product by G Bundle, contact us by completing and submitting the form below. If you are looking for a specif part number, please include it with your message.